Bimodal IT—also known as “two-speed IT”—has been a much-discussed topic for some time now. In an age of digitalization, ever-faster innovation cycles, and increasingly complex IT landscapes, Gartner’s concept is also becoming increasingly relevant to IT service management. The two worlds that Gartner describes particularly converge when it comes to operating applications in a stable, efficient way and maintaining the pace of innovation projects. In principle, Gartner’s concept of bimodal IT splits the IT cosmos into two coherent worlds. This can be compared to a high-wheeler bicycle, with the big wheel setting the speed and the small wheel ensuring stability (see figure 1). In the IT sector, conventional IT ensures service continuity, efficiency, and cost optimization; the agile world is responsible for innovation, flexibility, and a short time-to-market (see the Gartner IT glossary). Figure 1: Like a high-wheeler bicycle, where the big wheel sets the speed and the small wheel ensures stability, ITSM also has two “wheels.” Conventional IT ensures service continuity, efficiency, and cost optimization; the agile world is responsible for innovation, flexibility, and a short time-to-market. However, as a service provider, we are increasingly noticing on the market that many companies are currently jumping on the agile wheel without looking over their shoulder. Due to external pressure not to miss the boat with digitalization, in some cases this is happening to the point where new brands are being created or new companies founded solely with the agile world in mind. But this raises a question: Does agile necessarily mean better? Yet IT service management is a key factor in enabling successful delivery of agile projects and will become increasingly important to attaining corporate goals, especially at a strategic level. After all, external IT services, specifically application management services, help to avoid getting lost in one of these two worlds and instead to connect them both. Figure 2: In IT service management, it is important to create a link between two worlds (conventional and agile). 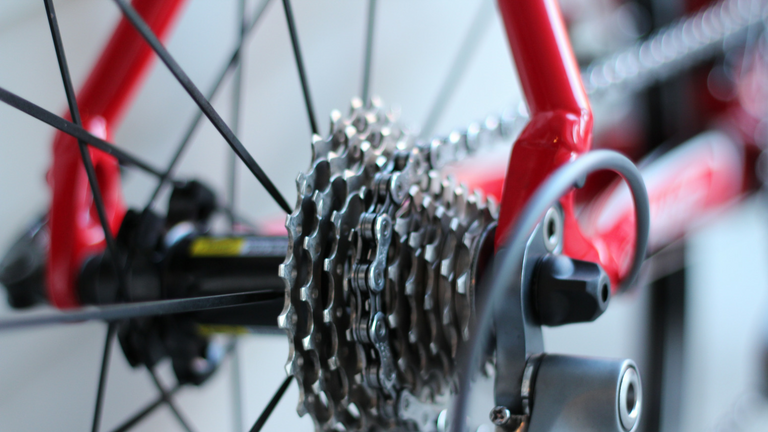 In a bicycle, the chain is the link, and in ITSM it is DevOps. How exactly is this ensured at itelligence? Findings gained from our internal processes particularly help us here. Examples are communication between agile software development of our own products (own IP) and support from the application management services (AMS) area. After all, as you might expect, bimodal IT will be essential to attaining business goals in the long term. It will not be enough simply to communicate in one world. Gartner’s definition falls short here, or is often misunderstood. Rather than there being a distinction between two modes, a common whole should be established. To stick with the bicycle image, the chain connects two wheels and interacts with the other components to provide balance. In the IT world, these components are new philosophies such as DevOps. First and foremost, this is about communication. A reliable service provider operates equally professionally here with customers and with other service providers. This provider will be crucial to the success of bimodal IT, as it is able to translate both modes for the customer: Mode 1 for stable, effective operation of the IT landscapes, and mode 2 for implementation of agile, short-term projects. However, the situation at the customer end ultimately depends on the approach—be it conventional, agile, hybrid, or something entirely different. This is and always will be an individual arrangement between the service provider and the customer. Along with the obtained findings, expertise from newly established working methods is also incorporated in our day-to-day work in order to create synergy effects. The DevOps movement is one example of this. DevOps is regarded as a philosophy rather than a method. As you will have gathered, the term is derived from development and operations. It supports the collaboration of both areas at all kinds of levels, for example culture or tools. There are various derivatives of DevOps these days (SecOps, ChatOps, Rugged DevOps). All of them have one common goal: Bringing things together. According to the DevOps Institute (DOI), DevOps is seen as the sum of agile development and agile service management. So with the areas of development and project management having taken the leap towards agility, the next logical step is to bring agility to our beloved service management. A new version of the most widely used and accepted framework, ITIL (de facto standard for service management/rights holder AXELOS), launched successfully as ITIL®4 (without the “V” for version) at the beginning of 2019. The ITIL®4 framework has evolved to reflect agile practices and ways of working. Newcomers such as VeriSM (declared as the glue that binds the frameworks; rights holder International Foundation for Digital Competences) will have a hard time to become established on the market for now. And there is also the new ISO/IEC 20000:2018 (Part 1) (international standard for IT service management): Compatible with ITIL®4 and “equipped for agility.” It is an international standard towards which itelligence has already been working for several years in the fields of application management and hosting services —and we have certified proof of this. If it were up to Simon Wardley, we would already also be talking about trimodal working methods, about pioneers, settlers, and town planners… but this would be going too far here. One thing is for certain: the agile world is here to stay! So let’s wait and see how the IT world will progress both technically and in terms of working methods. But instead of leaving ourselves at the mercy of these innovations, let’s gear our IT service management with the appropriate, flexible IT services for you—without losing sight of quality. For more than 10 years, Dirk Fuhrmann has been at home in the IT industry. In this area he takes on the position of a Service Manager as well as ITSM and ITOM consultant. In his role as Service Manager he is responsible for itelligence’s Managed Services, always having the focus on customer orientation. Due to his enthusiasm for ITSM topics, he is a reliable contact person for newly emerging trends and already established standards within the company. Check the complexity of your IT infrastructure now and learn how our managed services can drive your IT forward.